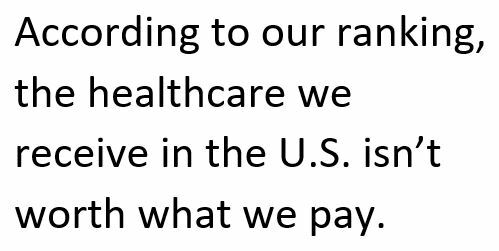 Depending on your perspective, you can argue that the U.S. either has the best healthcare system in the world or one of the worst. However, according to the Bloomberg Health-Care Efficiency Index which assessed 55 countries, the U.S. ranks 50th – almost dead last. The index looks at life expectancy and per capita spending to determine a country’s healthcare efficiency ranking. According to our ranking, the healthcare we receive in the U.S. isn’t worth what we pay. We need to do better and this post offers advice for making the U.S. healthcare system more efficient. Best of all, the suggestions in this post don’t require agreement between Republicans and Democrats on new healthcare legislation. Recently, McKinsey & Company did an analysis and found that more than $2 trillion in annual healthcare costs are related to poor patient health behaviors. According to McKinsey “unless health systems find ways to get people to change their behavior they will fail in their quest to tame healthcare costs.” McKinsey’s findings make total sense. It seems obvious that if you have an unhealthy lifestyle that you are more likely to get sick. So, the ability to motivate positive patient behavior change seems like a very sensible approach to improving health outcomes. Today, however, healthcare providers try to encourage patients to make healthy lifestyle choices by providing patients with information and encouragement during face to face consultations. Providers also bombard their patients with printed materials to improve their patient’s healthcare literacy. These attempts to improving patient behavior aren’t effective because they are infrequent and the materials presented to the patient are not personalized to the patient’s specific needs. A better way to deliver patient education is by text messaging through the patient’s mobile phone. It’s estimated that two-thirds of the world’s population now has a mobile phone and that 71% of those with a mobile phone have kept it next to them when they sleep. It’s clear that the mobile phone has become an integral part of who we are. Therefore, leveraging such a device to educate and motivate patient behavior seems like a great alternative to traditional methods of delivering health information. Additionally, McKinsey has found that frequent feedback with the patient is critical to motivating behavior change. This can’t be achieved through the traditional methods of delivering health information mentioned above. According to McKinsey, “text messaging is a great way to motivate patient behavior change by sending patients educational materials, medication reminders, and tips on disease management.” Interestingly, McKinsey also found that when faced with a health issue that patients will follow the advice of friends and family 86% of the time. ICmed understands the potential power of text messaging to motivate behavior change and the influence that friends and family have in encouraging a patient to live a healthier life. As a result, ICmed’s messaging functionality is a foundational part of the ICmed mobile patient and family engagement solution. Motivate patients with reminders and related information to do what’s right to improve their health. 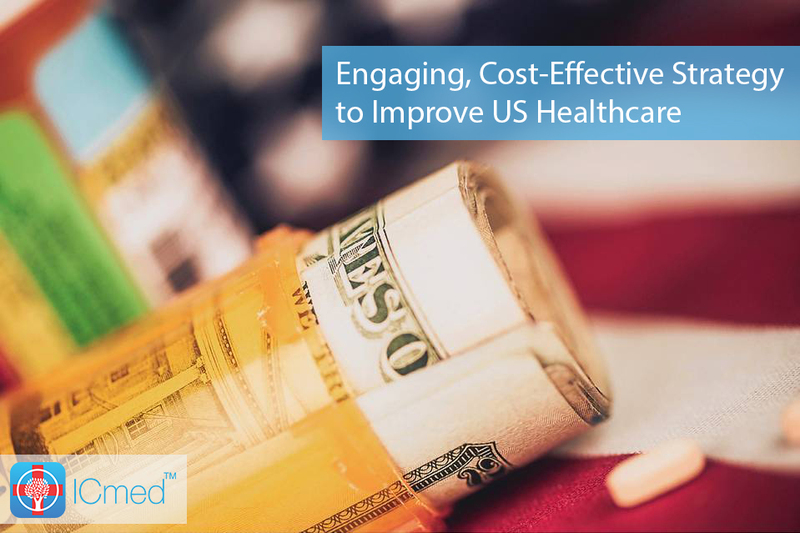 There is a way to take steps to improve the efficiency of the U.S. healthcare system independent of passage of new healthcare legislation. It’s something that we can do today and ICmed is ready to help.